The College Of Westchester is the recipient of the Family Owned Business Award from the Business Council of Westchester. 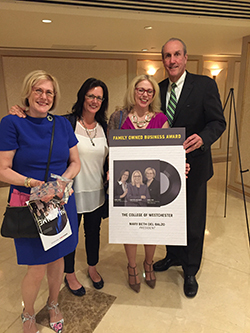 The winners were honored at the 2016 Business Hall of Fame Awards Dinner on April 19 at the Glen Island Harbour Club in New Rochelle. Congratulations to the entire CW family!! !